I enjoy making and eating soups! Growing up we had soup almost everyday and always fresh. 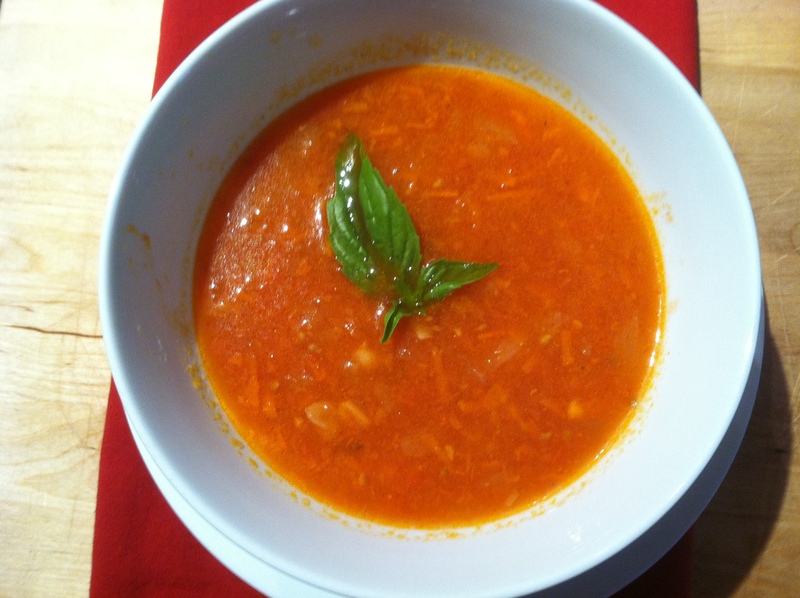 Most tomato soups are just that, tomato. So I decided to add some other wonderful ingredients that are packed with nutrients, especially helpful for this time of the year. I added ginger, which aids in digestion, carrots, packed with vitamin A and they provide a little sweetness to the soup and last, some Parmesan cheese rind. That just adds some delicious flavor. This soup tastes best when allowed to sit overnight. That way all of these wonderful flavors come together and the Parmesan Cheese flavor intensifies. Some warm crusty bread for dunking is highly recommended! This soup looks like the perfect thing to sit by the fire and enjoy during the chilly winter months! I’ve never been much of a soup girl, but this just looks so delicious that I think I’ll have to give it a go! Thanks for sharing! My pleasure. Thank you so much for your kind comment. PLease check back daily (follow) to get new recipes daily. BTW, I make many different soups, so if you have a favorite you would like for me to make let me know. Enjoy! I definitely will! I’d love it if you’d check out my blog as well, I post healthy versions of classic, not-so-healthy recipes! Have a nice day! Of course! I just did and will have to try your blueberry muffing recipe.